Oktoberfest 2018 fixtures available - ISC Mannheim e.V. Two weeks to go until the Friedrichspark Stadium opens his doors for the 2018 Inline Hockey Oktoberfest powered by ISC Mannheim. 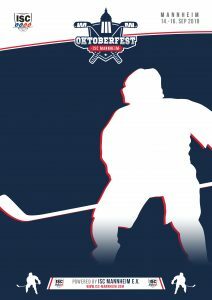 Ten teams from around Europe are coming to town, fighting for the first Sullivan Trophy in history. For now, we’re proud to present the fixtures for the group stage (Friday and Saturday) on our website. In addition to that, you’ll be able to download our tournament guide for more information.